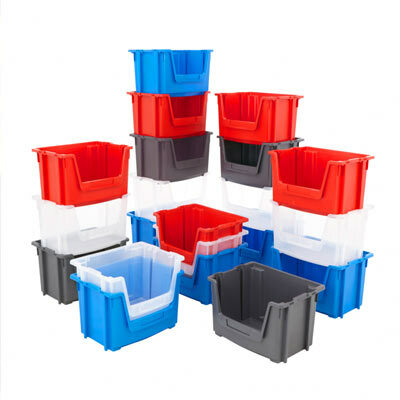 Differentiate your picking stations with vibrant, coloured premium bins! 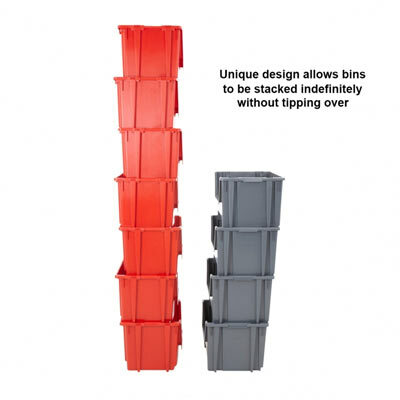 These premium stacking bins are sturdy for single stacking, so for open spaced environments backing the premium stacking bins against each other can help utilise space more effectively, while the nestable feature makes storing the bins neat and easy when empty and not in use. 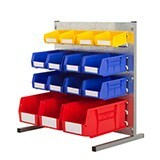 The wide front opening makes accessing and viewing the contents quick and simple. 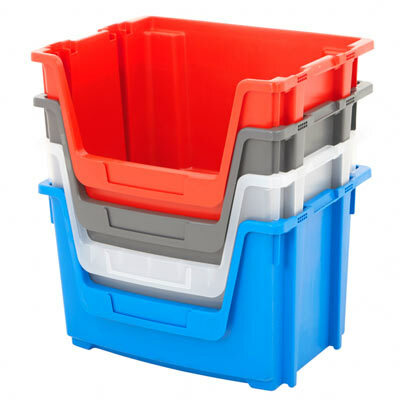 For environments with various sections, decorating your business with different coloured stacking bins can help operators identify and separate stations much more quickly. 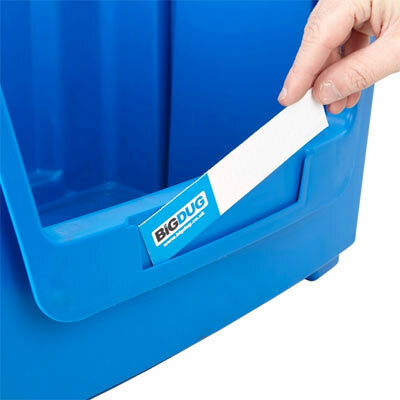 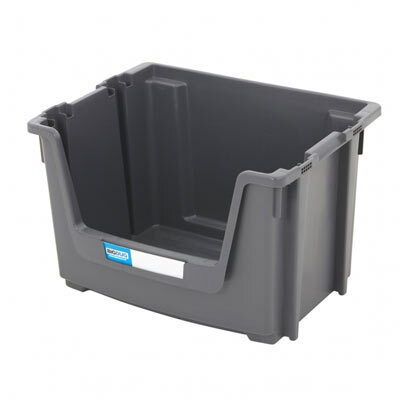 With the ability to screw against the wall these 50 litre capacity large stacking bins are useful for sorting and storing items while the front inserts allows for labels to attached and reattached for easy replenishing cycles. 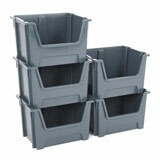 Available in a variety of colours with a maximum load capacity of 15kg. 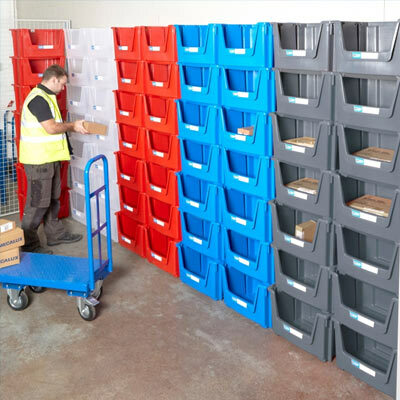 Same working day dispatch when you order early!